iPSC technology has since revolutionized how stem cells are derived, differentiated, and acquired in industrial quantities. It has also dramatically affected our understanding of how human cells and organisms develop. Since the discovery of iPSCs in 2006, several market forces have gained momentum. Taken in aggregate, these landmark events have created powerful forces that have driven funding awards, supported large initial public offerings (IPOs), inspired patent challenges, and more. For companies and investors competing within the iPSC market, it is critical to understand the implications of each of these events and how they affect your ability to survive and thrive within the iPSC marketplace. Perhaps the single most momentous milestone has been the initiation of the first clinical research trial ever involving the transplant of autologous iPSCs into humans (“autologous” meaning the cells are both derived and implanted into the same patient). The trial was initiated in August 2013 to investigate the safety of iPSC-derived cell sheets for restoring vision in patients with wet age-related macular degeneration. It is currently still underway at the Riken Center in Japan, led by Dr. Masayo Takahashi, and will continue with safety and vision restoration monitoring lasting several years beyond the trial end date. Previously, all clinical trials underway with iPSCs involved only the creation of iPSC lines from specific patient populations and subsequent evaluation of these lines for determining whether they could represent a good model for a disease of interest within that population. Currently, a search of the ClinicalTrials.gov website (a worldwide database for clinical trials) shows there are 26 clinical trials underway for the creation of such iPSC lines. Another key iPSC market force has been the recent gain in momentum of funding flowing into the iPSC marketplace. In March of 2013, Cellular Dynamics International (CDI) and the Coriell Institute for Medical Research announced receiving multi-million dollar grants from the California Institute for Regenerative Medicine (CIRM) for the creation of iPSC lines from 3,000 healthy and diseased donors, which will result in the creation of the world’s largest ever human iPSC bank. CIRM awarded CDI $16 million to create three iPSC lines for each of 3,000 healthy and diseased donors and awarded the Coriell Institute $10 million to set up and biobank the iPSC lines. In addition, CIRM - the organization tasked with deploying $3 billion dollars in California tax money to support the translation of stem cell research into clinical therapies - has increasingly been favorable toward funding iPSC research projects with a clinical (“translational”) focus. For instance, The Parkinson’s Institute was awarded a combined amount of $6.5 million to support four different research projects focusing on the development of patient-specific induced pluripotent cell lines (iPSCs) from individuals with Parkinson’s disease. CIRM also recently awarded $3 million to the Cedar-Sinai Medical Center for derivation of iPSCs from patients with inherited nerve disease, and for research into the feasibility of transplanting these cells back into patients after genetic corrections have been applied. Additionally, $1.3 million was awarded to Stanford University to allow for creation of cardiomyocytes from iPSCs that can subsequently be used to explore causes of cardiovascular disease. Clearly, CIRM’s favorability toward funding iPSC research is actively gathering momentum. In another landmark event, Madison, Wisconsin-based Cellular Dynamics International (CDI) initiated a July 2013 public stock offering that raised $43 million dollars and secured its position as the leader in manufacturing human iPSCs and differentiated cells in industrial quantities. CDI currently holds more than 800 patents. In addition, a large and thriving research products market has recently grown into existence for iPSCs. According to BioInformant Worldwide, LLC, a stem cell research firm, the number of iPSC research products sold worldwide has been growing at an annual rate of 14.7% for the past five years. In addition, 22% of all stem cell researchers now self-report as having used induced pluripotent stem cells within a research project. These benchmarks indicate that increasingly large quantities of iPSC research products are being purchased in 2014, as compared to prior years. 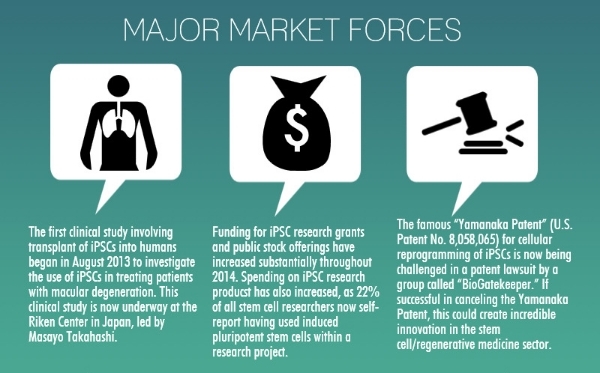 A final force impacting the iPSC market is a historic patent dispute that has recently exploded onto the scene, one that could potentially rival in importance the infamous Wisconsin Alumni Research Foundation (WARF) dispute that pertained to patents surrounding the derivation of human embryonic stem cells (hESCs). 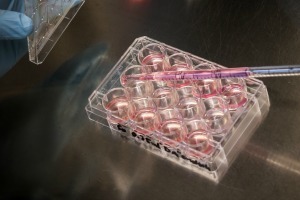 The WARF patent dispute was, without question, the most defining patent dispute within the stem cell sector, although it was settled in U.S. courts between 2008 and 2010 (5). Of particular interest to this iPSC market discussion is the patent environment surrounding derivation and creation of iPSCs for commercial purposes. In 2006, Drs. Yamanaka and Takahashi filed a U.S. patent claiming a method for creating iPSCs titled “Oct3/4, Klf4, c-Myc and Sox2 produce induced pluripotent stem cells,” which was issued as U.S. Patent No. 8,058,065 on November 15, 2011. If successful in canceling the Yamanaka Patent, this dispute could spur incredible innovation within the stem cell space, by allowing for lower cost creation of iPSC products, technologies, and therapies. Currently, most companies are forced to pay licensing fees to use the methodology described in the “Yamanaka Patent,” fees which are prohibitively expensive for many companies. Taken in aggregate, the iPSC market forces described above are creating incredible enthusiasm and commercial interest in the iPSC sector. Never before has there been such a rare combination of landmark events supporting development of iPSC tools and technologies. To learn more about opportunities within the iPSC marketplace, including key metrics and benchmarks that may create opportunities for your company, view BioInformant's report, “Complete 2013-14 Induced Pluripotent Stem Cell Report” here. 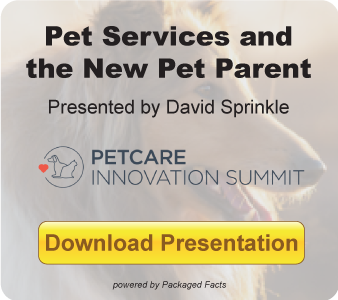 This post was written by Cade Hildreth, President/CEO of BioInformant Worldwide, LLC. BioInformant Worldwide, LLC, specializes in stem cell market intelligence. As a specialty research company, we use technology to track and identify profitable opportunities within the stem cell sector and provide this data to clients pursuing aggressive growth. We are the only market intelligence company that has specifically served the stem cell sector since it emerged. To date, BioInformant has been featured on prominent news outlets that include Nature Biotechnology, the Wall Street Journal, CBS News, Yahoo Finance, Medical Ethics, MarketWatch, the Center for BioNetworking, and many more. Serving Fortune 500 leaders that include GE Healthcare, Pfizer, Goldman Sachs, Beckton Dickinson, Thermo Fisher Scientific, and many more, BioInformant is your trusted source of stem cell industry data.